Capital K9s would like to extend a special thank you to our community veterinary sponsors. As working dogs, it’s important to keep our K9s in tip-top shape. We encourage you to support these Madison veterinarians who support our community through care of the K9s. Channel 3000 ran this story about the program. Here’s the link to the Wisconsin State Journal article about the program. New program provides free veterinary care for Madison police dogs. 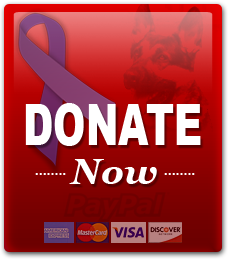 Part of your donations will be used to build an emergency care fund, which is not covered as part of the routine veterinary care program.